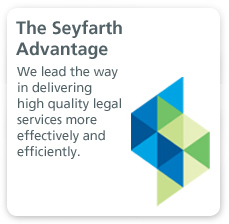 Seyfarth Shaw represents clients in virtually every type of bank and lending litigation, ranging from multi-jurisdictional consumer class actions to commercial loan enforcement to lender liability claims and retail banking matters. We also regularly handle investigations and enforcement actions by state Attorneys General and state and federal regulators such as the Consumer Financial Protection Bureau. We strive to deliver exceptional client service and outstanding results, cost-effectively and in partnership with our clients. Encompassing virtually every claim brought against lenders and depository institutions, our experience ranges from compliance with state and federal laws and regulations such as TILA, TISA, HOEPA, RESPA, FCRA, ECOA, FDCPA, EFTA and TCPA; unfair and deceptive acts and practices claims; challenges to fees, interest rates and other contract terms; redlining and other discrimination issues; force-placed and other insurance issues; and privacy and data security matters. Our lawyers regularly speak and publish on developments in consumer financial services law, and also counsel clients on regulatory compliance and litigation avoidance strategies. 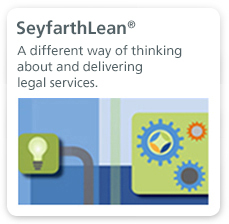 Our practice is distinguished by our unique SeyfarthLean® model, which seeks a common definition of “value” between our firm and our clients. We then meet -- and strive to exceed -- our clients’ needs for value and efficiency by combining high quality legal services with predictable budgeting and results, robust technology, process management techniques and other practical client-facing tools. Employing the core principles of Lean Six Sigma, we demonstrate our value long before the ultimate results in each case through a clear understanding of client needs and desired outcomes, increased efficiencies and reuse of existing work product, improved communication and collaboration, right-sized staffing approaches, and transparent pricing. 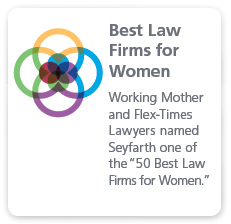 Seyfarth recognized in Financial Times' U.S. Innovative Lawyer's Report 2011.